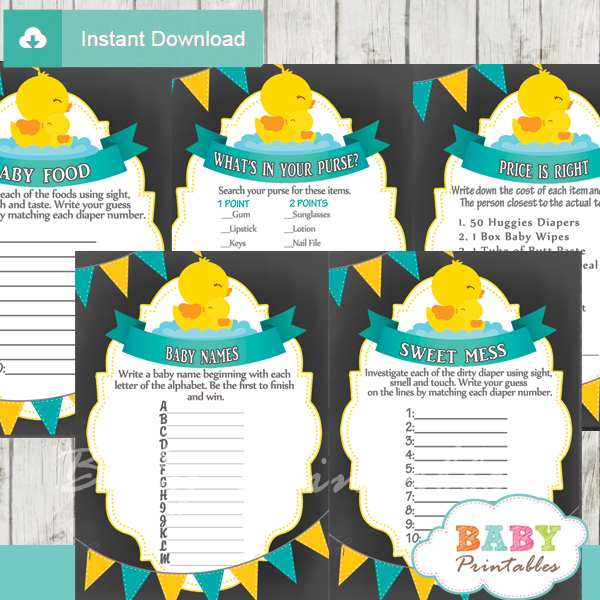 Adorable Giraffe Baby Shower Games for a fun celebration of your upcoming little girl. 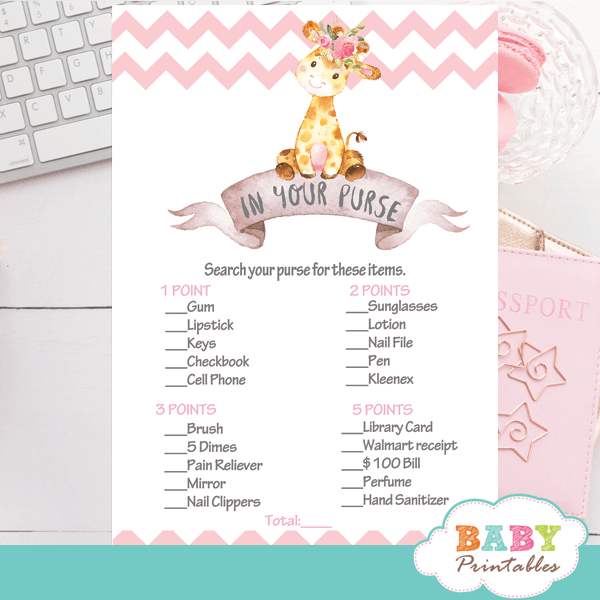 The Giraffe baby shower games feature the the cutest baby girl giraffe sitting on top of a vintage ribbon banner against a white backdrop decorated with a pink chevron zigzag pattern. 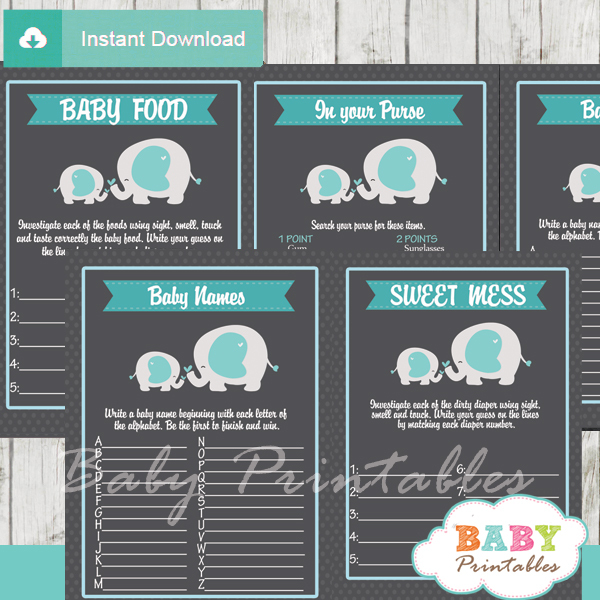 These giraffe themed games are a must have in a girl baby shower!